The Ingham Great Start Collaborative (GSC) serves as the multipurpose collaborative advisory board for human services agencies in the greater Lansing area. 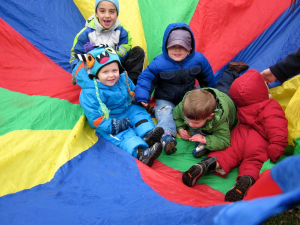 Guided by Michigan’s four early childhood outcomes, the Ingham GSC has developed four Outcome Groups (and associated working action agendas). This was informed by an extensive strategic planning process, and progress towards each outcome is reported on at each meeting (see below). 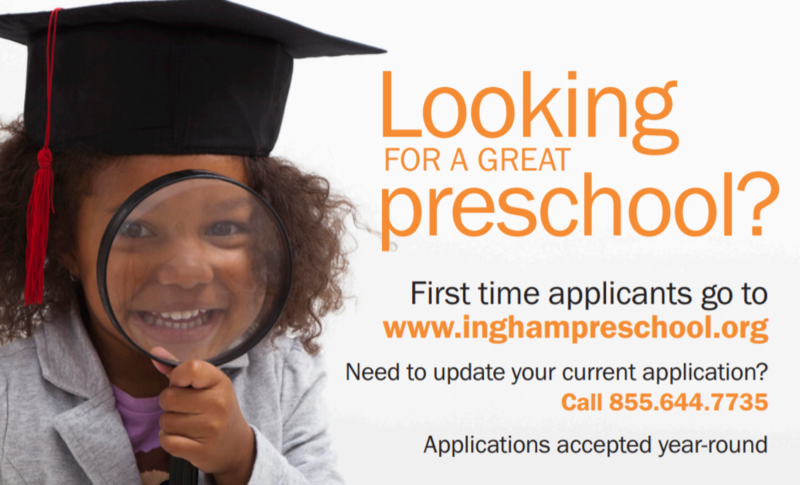 The Ingham GSC typically meets monthly at Ingham ISD Early Childhood Services (map) from 1-3:30 pm. Child care is available through the Family Growth Center (with advance reservations). At each meeting there are progress reports on the Early Childhood Action Agenda as well as committee reports from the various workgroups. There is also time set aside for updates from all participants and discussion of other issues of interest. For a complete list of meeting dates for FY19, please click here. If you need child care, please call (517) 371-1347 by noon on the Tuesday before the meeting to reserve a spot. When calling, indicate that you will be needing care so you can attend the GSC meeting. Outcome 1: Children are born healthy. Outcome 2: Children are healthy, thriving, and developmentally on track from birth to 3rd grade. Outcome 3: Children are developmentally ready to succeed in school at the time of school entry. Outcome 4: Children are prepared to succeed in 4th grade and beyond by reading proficiently by the end of 3rd grade.